Are you looking for something fun to do in San Francisco? Grab your sneakers and check out Karine Brighten’s 1-day health and fitness retreat on Saturday, September 20! Enjoy gorgeous scenery in the Lands End picnic area while health and fitness professionals show you how to easily transition to a plant-based diet and how it will impact your overall fitness. Bring your appetite, because participants will take part in food demos and enjoy a healthy, plant-based breakfast, lunch, and snacks! Fitness classes and activities such as hiking, jogging, and yoga will keep you moving as you learn healthy eating and workout tips. 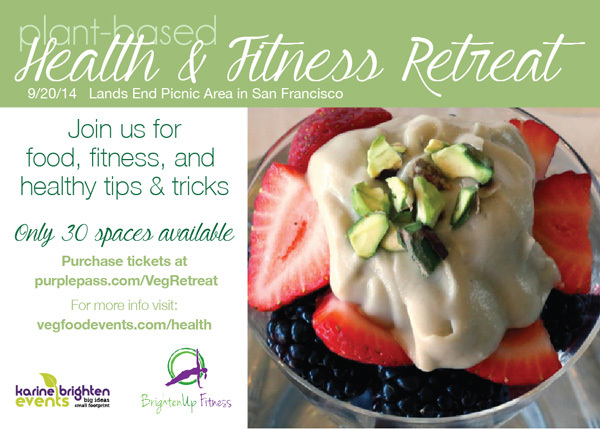 Vegan food and fitness classes: What a great way to spend the day outdoors! 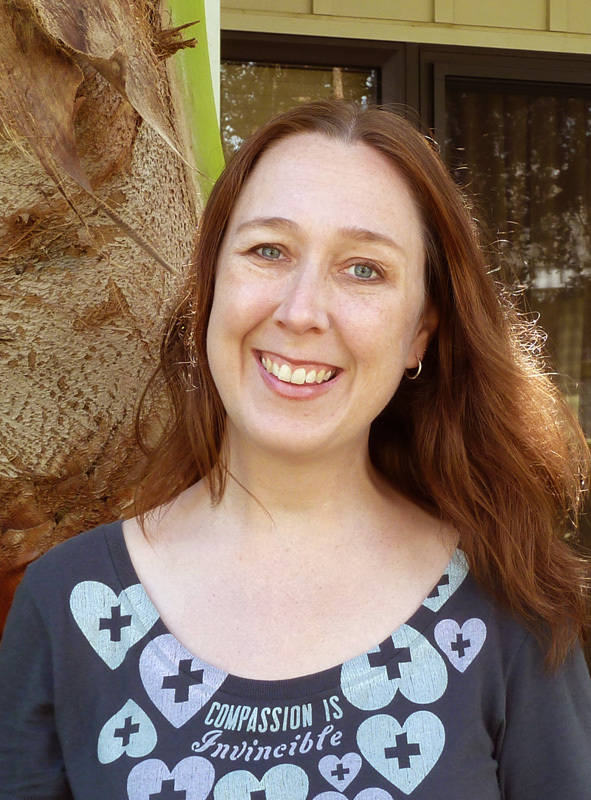 Heather Schall-Lucas, an animal lover and activist living in Pittsburgh, has been vegan since 2007. She knows first hand that the vegan lifestyle heals mind, body, and soul. She is Mom to four cats, and Mrs. Lucas to over 600 middle schoolers in her current job of middle school math teacher.